As your partner, we strive to offer the most extensive range of capabilities possible. When your organization has specific projects, tasks or objectives to meet and are lacking the manpower and/or the knowledge to accomplish your goals quickly, our team of engineers and designers can help. We offer expertise in many aspects of the product development process. Our staff provides you with the means to resolve timing, resource and cost issues and deliver your projects on schedule in a quality manner. Need an analysis ran for FEA or CFD? We can run simulations to your parameters and provide a full report of the results. Alignex has the experience and hardware to provide simulation services to your specifications. We can provide service manuals or renderings for sales literature for your product allowing your engineers to stay focused on design tasks. Alignex can provide onsite support with experienced SolidWorks users for a day, a week, or even several months. Use our experience in implementing SolidWorks and PDM systems to significantly reduce your time for return on investment. From machine design to medical device components, Alignex can provide design services to get your product to market faster. Have designs that are the same but different? Free up your design engineers from repetitive design tasks, enhance product quality and reduce errors. Alignex can get a system up and running to automate your designs and SOLIDWORKS models. 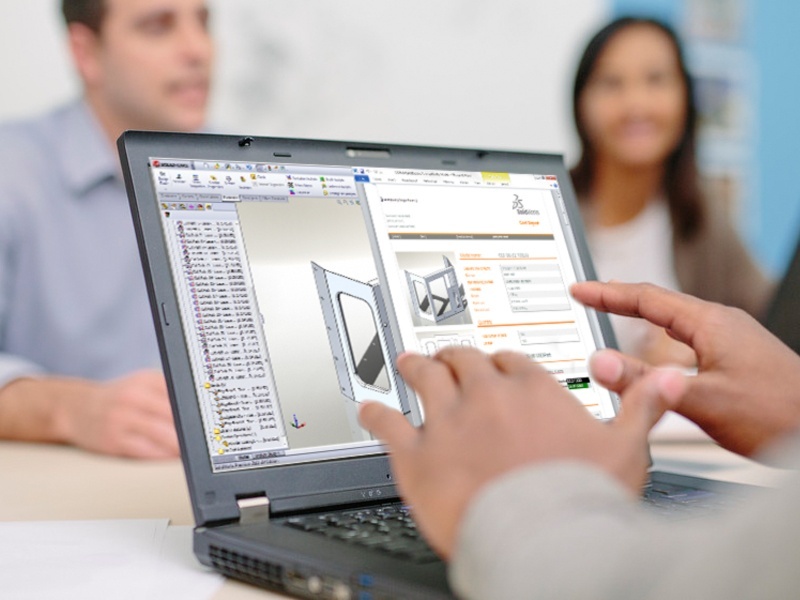 With our approach, you can have a product configurator that benefits engineering not just sales and order processing. Let Alignex set-up a custom product configurator and guided selling platform for your sales teams, distributors and even customers. Provide a fast response to sales inquiries and configure accurate quotes quickly and easily.